Shade: A elegant glitter red. 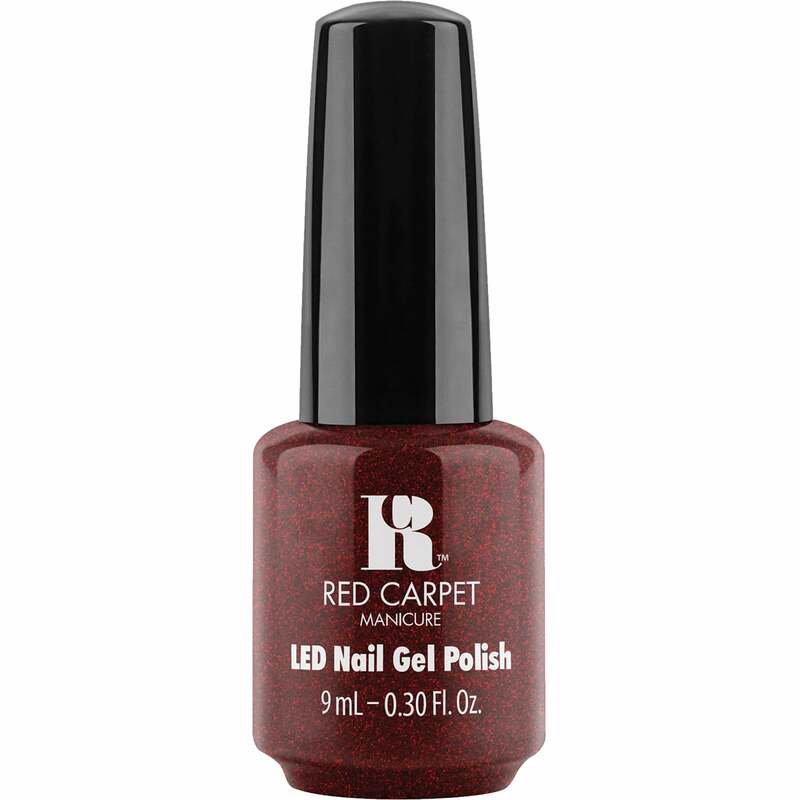 Red Carpet Manicure Gel Polishes can be cured with a LED Light. Red carpet Treatments such as Prep, Structure Basecoat And Brilliance Topcoat are required to give your nails that excellent finish. Gel Polishes require soaking in acetone to remove. Red Carpet Erase and Red Carpet Removal Wraps are recommended, which allow no fuss and no mess. The worlds' first at-home Gel Manicure kit. Just like a nail polish, you paint Red Carpet Manicure onto nails with a brush and like a gel, each layer is cured under an LED lamp in as little as 30 seconds. The result is a high-shine long-lasting manicure that is instantly dry. With high quality technology formulation to create the gel colour polish, Red Carpet Manicure sits at the fore front as a professional standard beauty brand. Results that can achieved in the comforts of your own home!